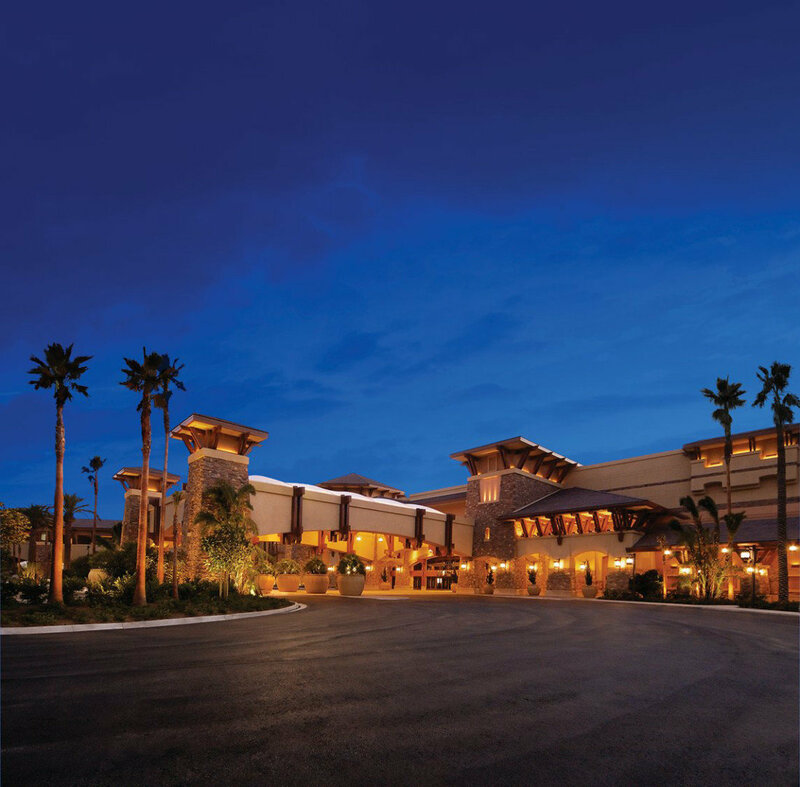 The San Manuel Band of Mission Indians created a new destination gaming and entertainment facility on their 600 acre (243 hectare) land holding in Highland, California. The tribe historically roamed from the San Bernardino Mountains, hence the name Yuhaviatam or People of the Pines, to the adjacent valleys and down to the desert lands of the Joshua Tree National Park. 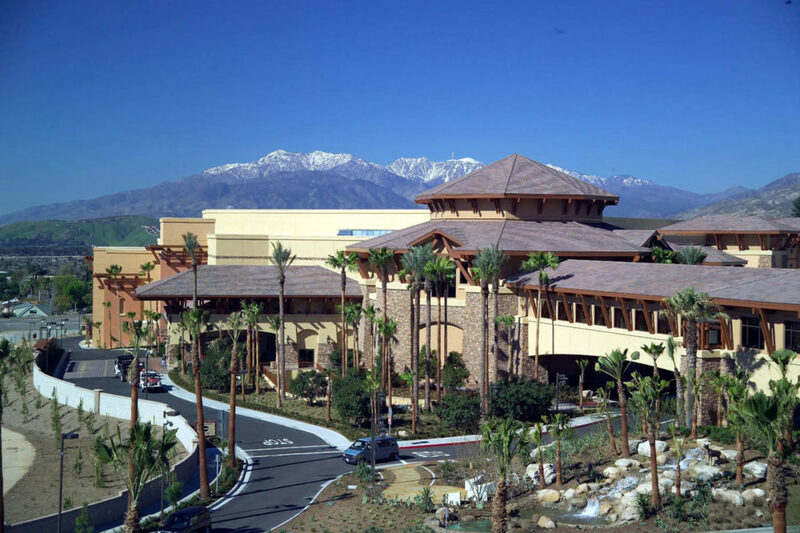 The landscape setting compliments the mission style architecture of the 425,000 square-foot (39,484 square-meter/59 mu) facility. The central approach represents their desert world, featuring drought tolerant Sonoran and Mojave Desert plant palettes. The California Fan Palm Oases punctuate the rockscape and waterfall. 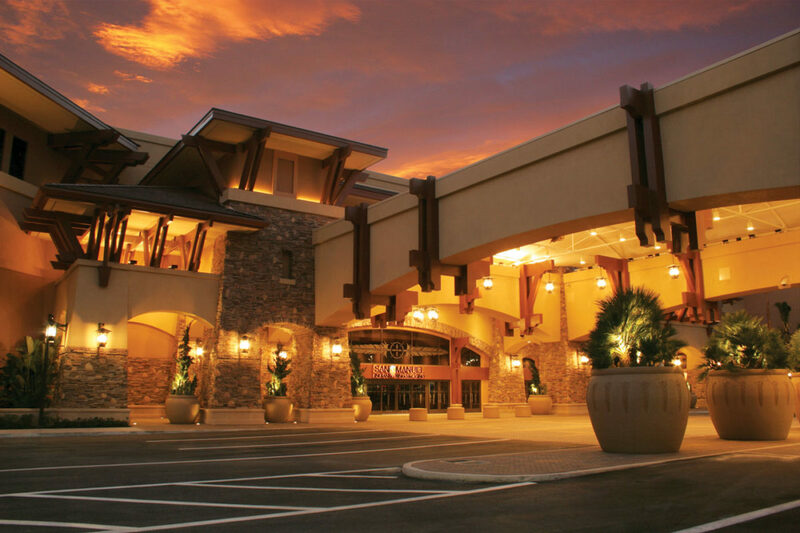 The port cochere has paving patterns of warm desert colors, providing a relaxed yet elegant sense of arrival.